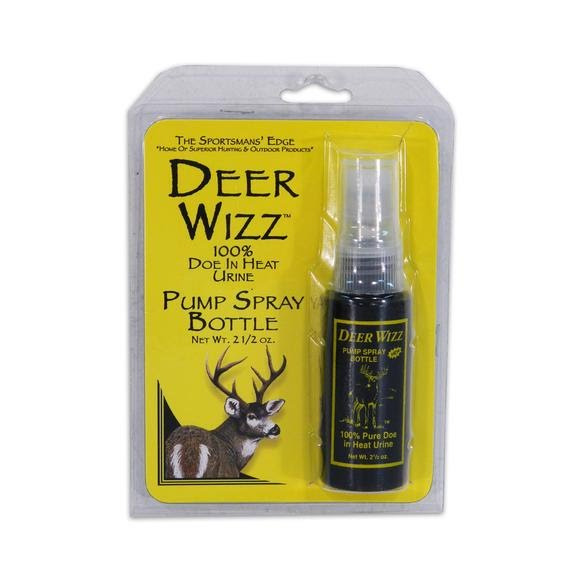 Combined with good stalking and calling techniques, Sportsman's Edge's Deer Whizz is like a magnet for bucks. Give it a gentle pump and let prevailing breezes carry the scent. Combined with good stalking and calling techniques, Sportsman&apos;s Edge &apos;s Deer Whizz is like a magnet for bucks. Give it a gentle pump and let prevailing breezes carry the scent.